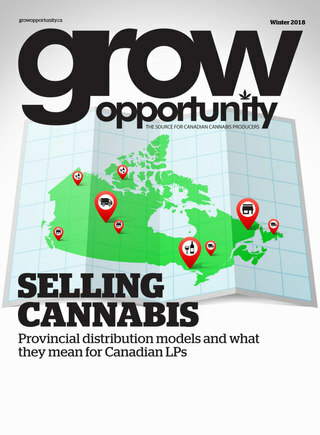 This past November, accounting giant Ernst & Young (EY) released a 12-page report focusing on the opportunities for Canadian licensed producers (LPs) of cannabis. Conversely, in that very same report, it noted that an uncertain operating landscape also exists, thus presenting enormous challenges for LPs. The title of the report, which is largely based on a survey of LPs, drives the point home: How do you define your future in an undefined market? EY’s report was released as wild market swings were hitting listed cannabis companies in both Canada and the U.S. The Toronto Star’s David Olive recently described some realities of the undefined cannabis market in his article, 6 reasons an investment in the pot industry will likely go up in smoke. He noted that from August to November 2017, investors helped drive up the stock-market value of several Canadian industry leaders, including Canopy Growth by 107 percent, Aurora Cannabis, 147 percent, and Aphria, 49 percent. Much of his article focused on the potential negative impact of low-cost production in the black market even after the legalization of both medical and recreational marijuana, estimating these markets will reach $1.3 billion and $6 billion, respectively, by 2021. These market-size estimates put forth by Olive are probably on the low side, with other predictions reaching toward $10 million (January 2016 via CIBC extrapolating Colorado cannabis market numbers) and as much as $22.6 million (Deloitte in October 2017). Olive, however, explains this relatively small market will be under consolidation pressure when there are already some 70 publicly traded marijuana firms in Canada and at least another 20 privately held cannabis firms – with many more awaiting licenses. Olive’s assertion is certainly debatable considering the role of small businesses driving Canada’s agricultural sector. There is certainly merit in his point, however, that the high number of public LPs and start-up surge in Canada is largely the result of America’s refusal to decriminalize pot at the national level. In January 2018, the Canadian Press reported that U.S. Attorney General Jeff Sessions moved to quash an Obama-era policy that allowed legalized marijuana production to increase in that country. The news created a negative impact on marijuana stocks as Sessions’ memo stated he will instead let prosecutors in the states where marijuana is legal to decide how to enforce federal law, which still prohibits the drug. Industry players expect this proposed U.S. stance to become a positive for the Canadian cannabis industry – as larger LPs begin to consolidate and expand globally. As for the aforementioned EY report, it found that 37 percent of Canadian LPs are focusing on scaling up capacity and production to meet anticipated post-legalization demand. The report explains the ability to raise capital to support the cost of increased production, or even the willingness to invest given the current regulatory uncertainty, are key challenges. In January 2017, however, Vice reported that for the first time a Big Six Canadian bank led an equity financing round for Canada’s largest Cannabis producer, Canopy Growth Corp., with the Bank of Montreal co-leading the underwriting of a $175-million stock sale with GMP Capital. EY also points out how entrepreneurial cannabis LPs, will face competition from established companies in industries like tobacco, pharmaceuticals and alcohol, which are well positioned to enter the cannabis market. A slow licencing process, explains EY, affects the ability to raise capital and cultivate in time for legalization when the medical market alone is expected to reach 500,000 patients by 2021, which translates into a projected demand of 150,000 kg of cannabis flower. These divergent numbers indeed show the challenges for LPs to define their future in an undefined market.